Multiple-time Champion jockey Moon Se Young is back from a long injury spell and he could get back among the winners right away as he partners (10) REAL GANGJA, 3rd in each of his latest two. 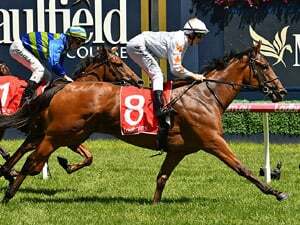 He briefly struck the front last time out before being headed late-on and he could well make the breakthrough today in similar strength company. (7) PARRHESIA steps up in trip following 2nd place over 1000M last time and can go close again while both (4) ROAD MAN and (5) PINEAPPLE MARK have sown some potential and both come in following 4th place finishes in their respective latest outings. (1) DONG JAK could be the wildcard. He’s not offered much across four starts but tries a new distance and could improve. Eleven maiden fillies going here and (1) QUEEN OF CAMP ran very nicely for 2nd place last time at this distance, just being beaten half a length. Given today’s draw, she’ll most likely look to lead and win. (11) WONDERFUL HEELS ran 4th in that same race, which was on October 27th, continuing her own promising start and she can match or better that today. Stiff competition can be expected too from (3) SSOARAUTS and (4) WHITE FLOWER, bot of whom have proven themselves competitive and should be in at least the placing hunt. Among the rest, (7) GEOTAP has a 3rd place to her name and while it was in weaker company than this, a repeat is not impossible. (9) BI PYEONG was scratched at the gate on a scheduled start in September when found to be lame and was accordingly stood-down for two months. He’d gone well in two starts before that with a 2nd and 3rd to his name and now back fit again, he may e the one to beat here. 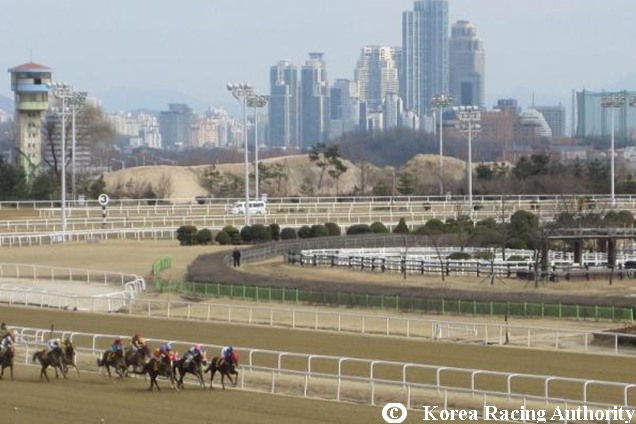 (7) COILRO ran competently enough for 3rd on debut over 1000M a month ago and could appreciate the extra trip today while (3) DALGWA GUREUM returned from five months off to run a useful 5th at this distance two weeks ago and can build on it. (1) WONDERFUL RUBY ran very greenly on her debut and with better manners should go better. There are two debut-makers and (6) JEMA TEUKGEUP, a handy trial winner in October, looks set to run well first-up. Juvenile maidens with just two of the eight having raced before. And both performed well with (8) BANJIUI HAMSEONG and (2) HAMYANG SANSAM running 2nd and 4th in the same race at this distance on November 4th. There was just a length and a half between them and they’ll be expected to battle it out here. Among the first-timer starters, (7) VIVA KING and (3) DONGSEO JEPAE trialled up together with just a neck separating them in a decent time. (4) CHEONROK was slightly slower than that pair but did actually win her heat and can also go well first-up. (8) POP STREET comes in having run 2nd when favourite at class and distance on November 10th. He led until the closing stages and finished well clear of three of today’s rivals and he is the one to beat here. (7) FINAL STORM has been a little inconsistent since reaching this level but ran a close 4th last time three weeks ago and is well drawn to get to the front early today. (1) DURGA remains a maiden after twenty attempts but equalled her best finish of 2nd on her latest start a month ago and can target a repeat. (2) DAECHEON HERO and (10) GIVEN WEEKEND are others in the placing frame. (7) GAON FORCE is up in class following two strong 2nd place finishes including last time out at this distance and a repeat of that performance would be enough to see him win this. He’ll be a strong favourite. 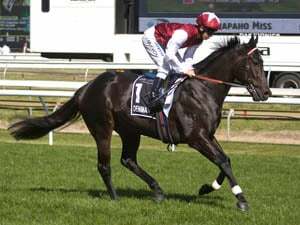 (8) TOHAMSAN POWER was similarly promoted to this class while still a maiden but he managed to make his breakthrough on November 4th at this level, scoring by three-lengths over 1000M. He’ll be on pace again and can make the favourite work hard to get past him. (2) LAST JACKPOT overcame some early bumping to run 2nd on his latest effort at this distance on November 3rd, with a couple of these behind him and can go close again while (4) DONGBANG JIJU and (11) DAE UNHA are others capable of finding the money in this company. Eight imported juveniles go here with four of them having raced before. (8) PHOENIX WOLF has already run twice and following an inauspicious debut on October was a much-improved 2nd on her reappearance on November 3rd. She led until a furlong out and while she’s drawn wide today, she should still be able to get to the front and can go one better. (4) HWA GI was unfancied on debut in October but ran pleasingly for 3rd and will be much better supported today while (2) M J POWER debuted behind Phoenix Wolf a month ago and can improve here. Of the first-time starters, both (1) COVERGIRL JUSTICE and (3) GISELLE GOEMUL won their trials and the latter especially has every chance here. Watch the market with them. (8) EAST KWAENAM has looked competent across two starts so far, finishing 2nd and 3rd. Both of those were over 1000M and he ran through the line well each time suggesting he may well suit the step up in trip today. (1) EOUL DEOUL has only won one of twenty-one prior efforts but rarely misses by much and enters with his recent form reading very nicely. He tends to come from way back off the pace and while this generally leads him to have too much to do, he shouldn’t be far away. (7) JIANIGA wan well on debut and while two starts since have been less impressive, the jockey booking today catches the eye and improvement may be on the cards. (3) ARCH ARCH and (5) DONGBANGUI GIEOK are others to look out for. Fillies and mares only. (5) CHOCO CANDY is up in class having won two of three outing to date, both of them in fine fashion and most recently at this distance. She carries more weight today, but she should be on pace early and another win is not impossible. Nor will it be easy. (7) GAON QUEEN has looked very fast in two starts at 1000M which ended in a win and a 2nd place. She’s up in class and distance but should go very close. So too should (3) AWESOME SMART, who ran very nicely for 2nd in a good race over 1400M in mid-October and returns for the first time today. (1) AMENDA and (8) BIG EAR look the best of what is a very competitive rest. Four of these raced each other at class and distance on November 3rd and among them it was (11) KYMA who finished the best of them, being beaten by just a neck into 2nd place. He’s well-weighted once more if not exactly well-drawn and he has every chance of coming out on top this time. So too does (3) STRONG MAN, who finished just a length behind him in 4th place. That was his first try at two-turns and he took to it very well. In contrast to Kyma, he has drawn nicely and should be on the early pace and can go all the way. (9) DAECHEON ACE was 6th that day and is another who can improve. Among those who didn’t participate in that race, (7) STRONG RUNNER, up in class having won at this distance at the end of October, and (12) CLEAN UP SECRET look to have the best chances. (4) SIMPLE LIFE and (2) PALPAL VICTORY came home 2nd and 3rd when they raced each other at class and distance on November 20th. Just half a length separated them that day and they can battle it out for the top spot here with every chance of Palpal Victory overturning the form. (3) COMPLETE SWEEP steps up to two turns for the first time having run 2nd over 1300M three weeks ago. He won three of his first four and while he has found things slightly tougher at this class, he looks to have more wins in him. (8) LUCKY ROOKIE too tries the distance for the first time. He’s won three of his last four and while up in class here, should be very competitive. The experienced (1) STEPHANO is another more than capable of finding the money in this kind of race. (4) LION ROCK didn’t get a great trip and ended up an also-ran in last month’s President’s Cup. That was always going to be a hard ask but in his race prior to that, he returned from a five-month absence to run 3rd at this class and distance. That should stand him in good stead today where he has drawn well to lead early and win. 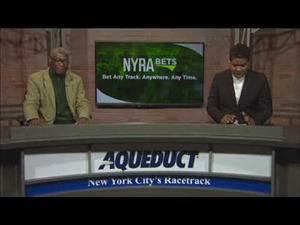 (7) TIZ RUN is back from a twelve-week layoff and looks very nicely in here while (11) DANGDAE GEOLJAK outperformed expectations to run 2nd at class and distance a month ago and is worthy of more respect today. (9) CLEAN UP BOARD is up in class having run a close 2nd over 1900M and is another who is nicely in the weights. A winner of three from six so far including at class and distance on her latest start at the end of October, (9) MENI BLADE is the one to beat in this competitive handicap. She isn’t a fast starter, so she must be careful not to get caught in traffic but if she runs her best, she can win. (4) SIMON RICH and (11) HANIL GANGJA came home 1st and 2nd at class and distance a month ago and both should be dangerous again today. 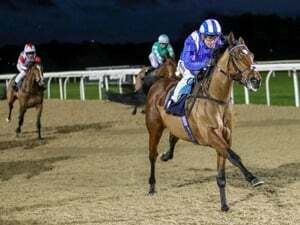 (3) SANTOS was beaten ten-lengths by Hanil Gangja back at the beginning of October but bounced back to win himself in November and is accordingly up in class with a good chance of being competitive and on the early speed. (1) M.J. ROAD is a proven money winner at this level and is another one who can get close.